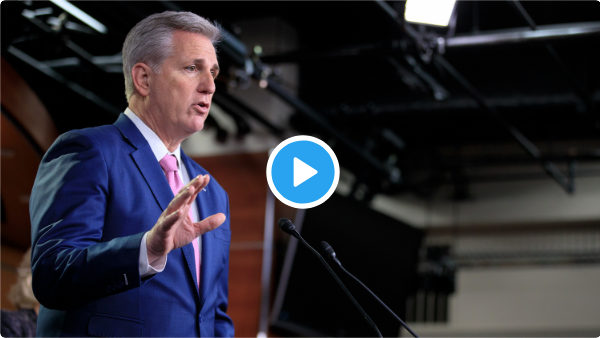 Washington D.C. – House Republican Leader Kevin McCarthy spoke at a press conference today on Rep. Ann Wagner’s Born Alive Abortion Survivors Protection Act, which ensures any infant born alive after a failed/attempted abortion receives the same protection of law as any newborn and penalizes doctors who allow such infants to die or who intentionally kill a newborn. “One of the strongest made statements [President Trump] made was for those World War II vets, who fought for our freedoms––that we will not have socialism in America. He will stand up against it. “He also stood up for those who could not speak for themselves. The same that Ann Wagner is doing with her bill. This doesn’t have to be partisan and It shouldn’t be. I applaud [Whip Scalise] for bringing out a discharge petition, but we shouldn’t have to get to a discharge petition. “That is why today I’ll ask for unanimous consent for the House to consider Ann Wagner’s Born Alive Protection Act.